nutritional coaching for changing your body. The best athletes of the future are determined by those who receive the best of themselves in the present. Most athletes don't realize how good they could be. 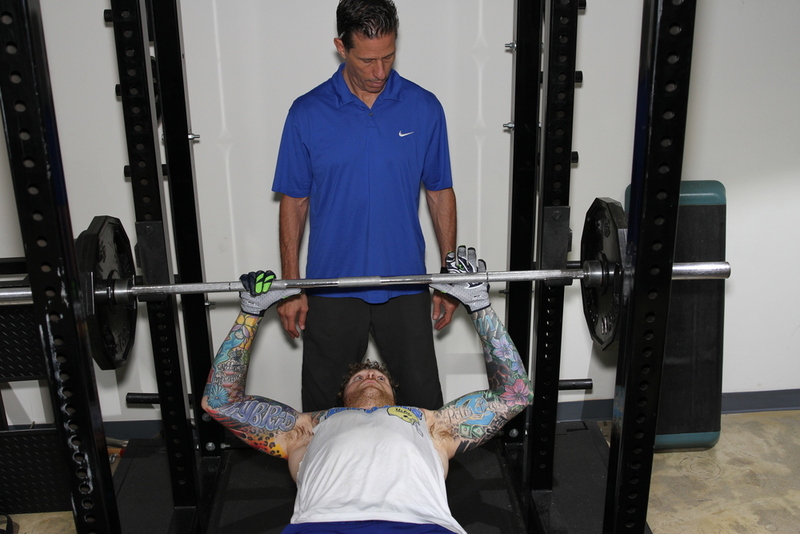 Check us out on strength coach tv with anthony renna! Congratulations Denise, all your hard work paid off! Talk about getting faster on a bike... 183.9 miles faster! We are excited to announce our client Denise Kornecek broke the world record as the fastest person ever on a bicycle! Congratulations to Denise and her experience! Check out Jacques' presentation from the NSCA Southwest Regional Conference below! Bicycling Maximum Overload for Cyclists discusses a radical strength-based training program aimed at increasing cycling speed, athletic longevity, and overall health in half the training time. Rather than improving endurance by riding longer distance, this book will teach you how to do it by reducing your riding time and adding heavy strength and power training. 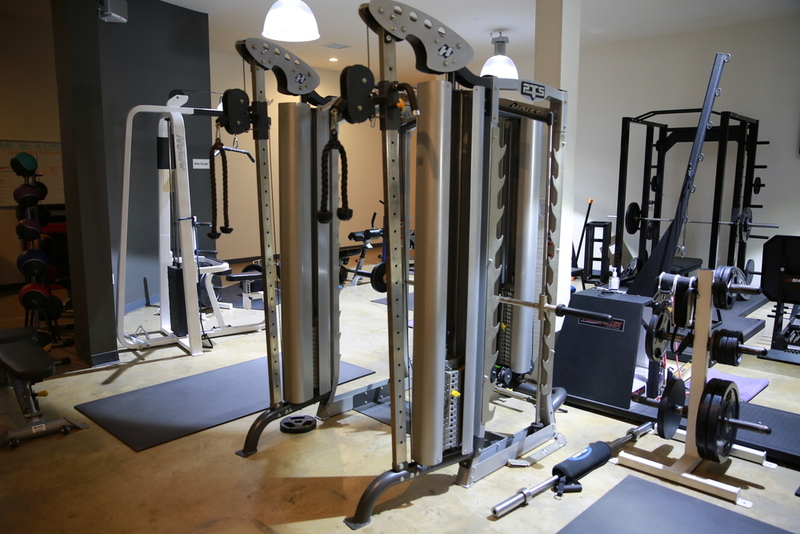 S&T Fitness addresses weight loss by educating clients on how weight is gained and lost, and then coaching the participant weekly on changes they need to make to reach optimal body weight and energy levels. Clients learn how they individually metabolize food,a key component to successful weight loss and sustainability. Clients are also exposed to the problems that semi-starvation and restrictive diets present. The S&TF weight loss program is not a diet! Weight loss is addressed from the most recent research on the science of weight loss and eating. Armed with this understanding, you will be able to make rapid changes in your body and health. It will surprise you that there is a sustainable way to eat healthy, not be hungry, and lose or easily maintain your weight. Signature Elite Program - SEE WHAT WE DO! 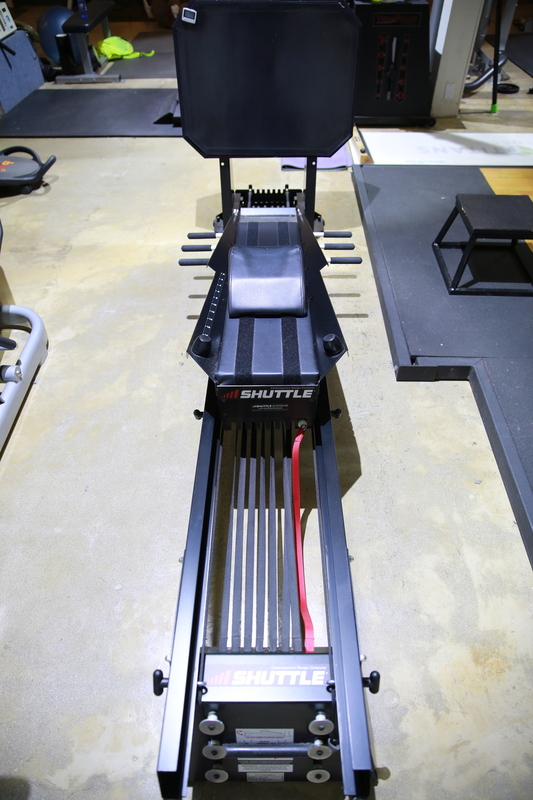 At S&TF, we think the VersaClimber is the best piece of cardio equipment available today. 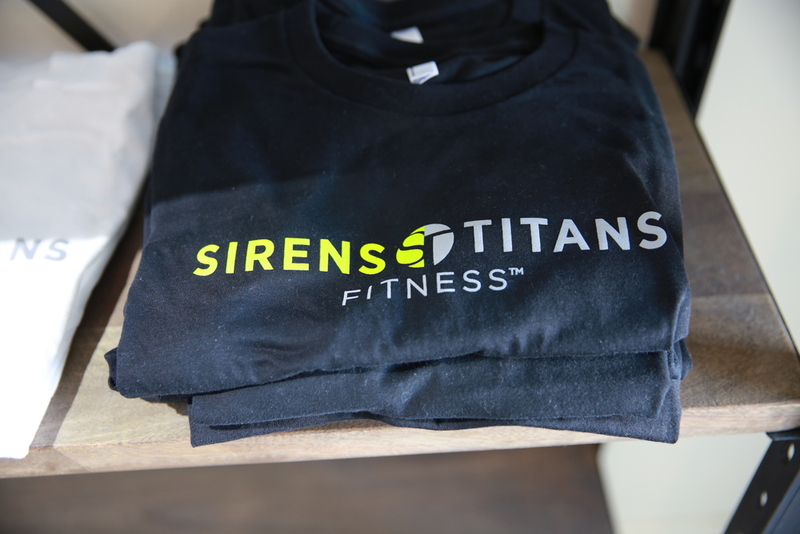 At Sirens & Titans, we believe in more than fitness training. We believe in fitness coaching. Nothing we do is random. Let us help you reach your fullest potential. Jacques is a Certified Strength & Conditioning Specialist (CSCS),Certified Primal Health Coach, and licensed as an expert USA Cycling Coach. He received a Masters in Business Administration from Pepperdine University and a BA in Economics from Uc Davis. Prior starting Sirens and Titans Fitness of Los Angeles he founded Titan Sports Performance Center in Santa Barbara over 15 years ago. Jacques was also CEO of Vert Centers of Santa Monica, a sports performance rehabilitation center, where he developed strength and conditioning programs and trained many elite athletes before founding Titan Sports. He has been a competitive athlete his entire life, competing in wrestling in high school and at the University of California, Davis. Jacques has also competed in track, cross-country, lacrosse, martial arts tournaments, and full contact kickboxing. In bicycle racing, Jacques competes at an expert level on the mountain bike and a Cat 3 road racer. Jacques coauthored bicycling's maximum overload for cyclists; a book about the ins and outs of strength and power training for cyclists. Jens received his MBA from the University of New Haven, CT. As an executive, he has extensive experience in both the entrepreneurial and corporate environments. Jens has been an athlete all his life, as a kid he competed in equestrian events, tennis, soccer, and cross country running. He competed at a higher level in Rugby (rugby captain at college, in the UK), track & field, swimming, and Mixed Martial Arts. Jens took up cycling later in life and enjoys racing as a Cat 3. Being a competitive power-lifter, I have always sought different perspectives and beliefs in programming for competition. This led me down the rabbit hole of movement, speed, agility, periodization and injury prevention. 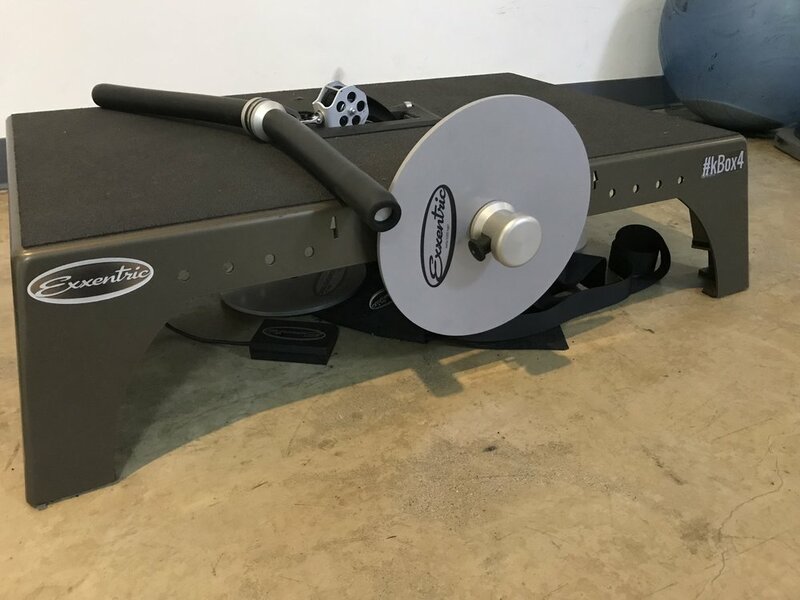 My insulated world opened to new possibilities for not only training myself, but for competitive athletes, kids, seniors and their respective sports beyond that of what I know: squat, bench press, and deadlift. I continued my pursuit by volunteering with the San Jose Sharks during their Rookie Development Camps. Alfonso is a Certified Strength and Conditioning Specialist through the NSCA. 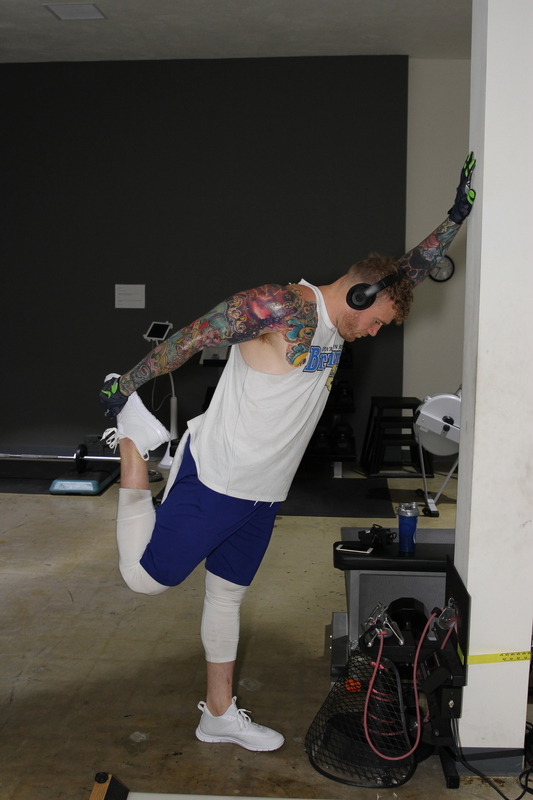 Neil is a certified Strength & Conditioning Specialist (CSCS), and a graduate of the Fitness Instruction Program at UCLA Extension. 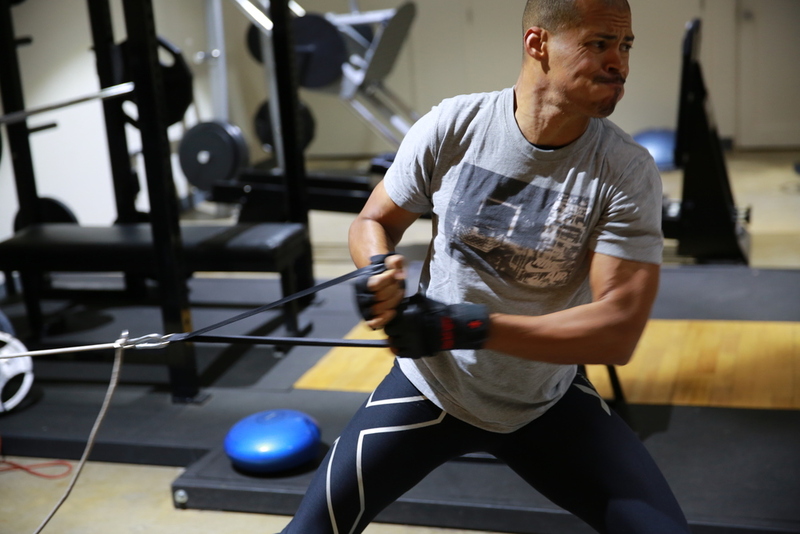 He is pursuing a Ph.D. in Neuromuscular Rehabilitation at UCLA. He received his M.S. in Biomedical Engineering at UCLA and a B.S. in Biomedical Engineering at Georgia Tech. Neil has been active his entire life. Neil is a 2nd degree black belt in Tae Kwon Do, a certified life guard, and has competed at the national level in Swim, Taw Kwon Do, and hiphop-bollywood fusion. He enjoys training for obstacle course races such as the Spartan Race and trying new sports and activities such as fencing, hip-hop and other dance forms, Neil actively works with spinal cord injured patients and para-athletes in addition to other athletes and clients. 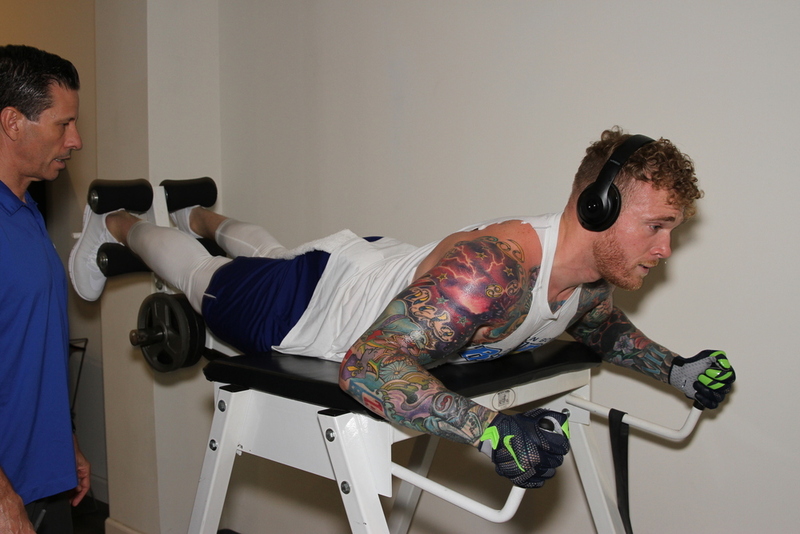 He also volunteers his time and is focused on the functional recovery of movement in addition to strength and conditioning. -Interview and gym tour on Strength Coach Tv with Anthony Renna. 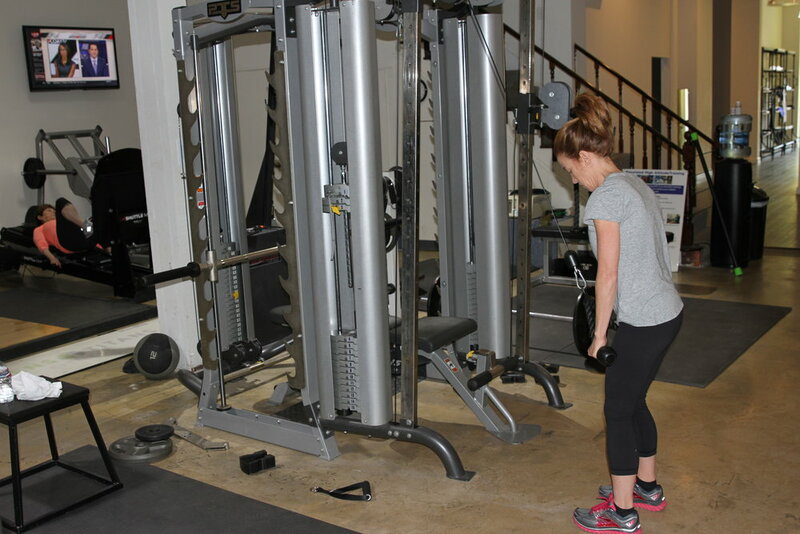 -Interview with End of Three Fitness about power training! -Interview with Mark Sisson on his Primal Blueprint Podcast going over my book: Bicycling Maximum Overload for Cyclists. 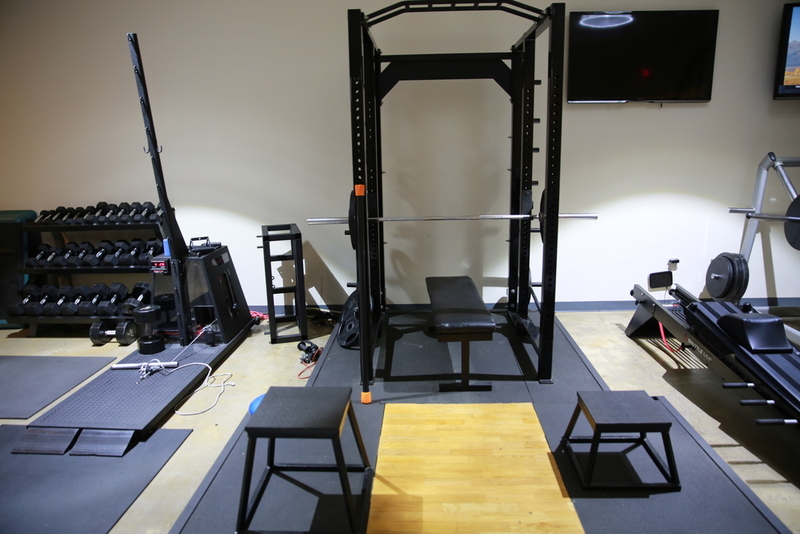 - Strength Coach.com is a highly followed strength and conditioning resource. This podcast is somewhat more technical in nature. - Ron has been a strength and conditioning coach for some time. He has a podcast called Chalk Talk where he interviews strength coaches on various subjects. My subject was the concept of power and sustainable power in athletes. - This is a podcast that caters to women who are interested in improving their endurance on a bike or other sport. - The consummate athlete podcast focuses on cycling. In this podcast we drill down on how the concepts in my book pertain to cyclists. - This podcast focuses on the athlete that is 40 years old or above. We discuss weightlifting and training for power. - The Mystery Tin Podcasts follows fitness and all things fitness. We discuss the state of fitness today. - Red Kite Prayer is a podcast that is all about cycling, both amateur and professional. The discuss all things that pertain to competitive cycling. - This podcast is out of Finland. He covers primarily fitness and training for triathletes.